The DB Resi-Tie™, with an 1-1/2” breakback and optional waterstop, makes it possible to pour commercial-specification concrete walls with 1-1/8” form panels. 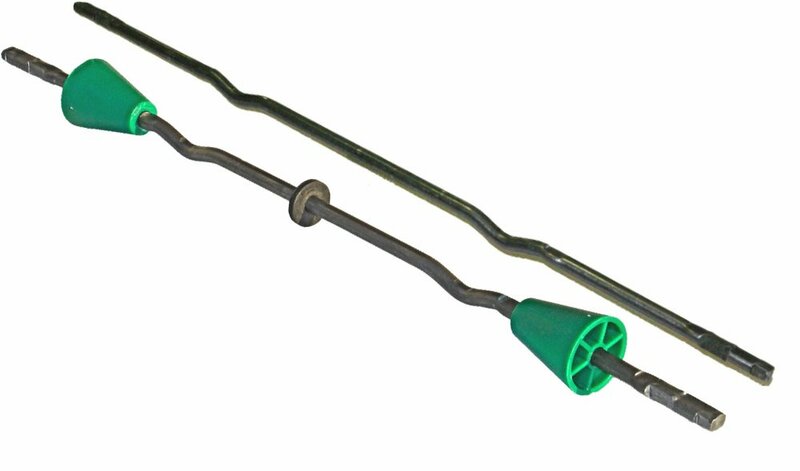 The precisely crimped ends of this round wire tie fit the swing latches of standard 1-1/8” forms in the same way as standard flattened-wire ties. Unlike some other ties, the DB Resi-Tie™ is a round wire tie, so a plastic cone is not necessary for the tie to break back to the proper depth in most circumstances. (To ensure good breakback without cone, we apply a bond-breaker wax finish around the breakback area). If needed to ensure breakback, or for finishing purposes, plastic cones are available at extra cost. A neoprene washer waterstop is also available. The DB Resi-Tie™ is available from stock in many common sizes. Other sizes available by special order.